"Many of the users might have tried to Login multiple Facebook Accounts simultaneously in the same browser but it was hard Luck. So I want to tell you the tricky process by which you can Login multiple Facebook Accounts at the same browser such as Chrome, Firefox and Internet Explorer"
I have seen many of the users are having multiple Accounts on Facebook, Orkut, Gmail and Myspace. 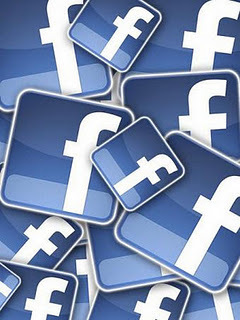 Do you also have more than one Facebook Accounts? I am sure most of us do have.. I would say most of us have multiple Facebook Accounts mainly because of privacy factor. I myself have more than one Gmail ID’s. I use my one ID for my personal use and the other one for general purpose. This trick not only apply for Facebook But also for Gmail, Myspace, Yahoo and Orkut. 1. Open your Internet Explorer and Login to your first Facebook Accounts. 2. From Menu Bar click on File tab and select New Session. This will open a new window. 3. Now you would be able to operate your another Facebook Accounts. We use Firefox add-on called Multifox is an extention, which allows Firefox to Login multiple Accounts with different user names simultaneously. 3. Now Login your first Facebook Accounts. 4. Now open a new tab and right click on the tab and select “Open a New Identify Profile”. 5. Then, Login into your second Facebook Accounts. Chrome comes with a Icognite mode that allows you to Signup multiple Facebook Accounts. 1. Go to Google Chrome. 2. Click on Tools icon and select “New Icognite Window”. 3. Now Login multiple Facebook Accounts.